Last year Freddie Wong and Matt Arnold contributed to the ongoing experiment to see if the Internet can replace broadcast TV. 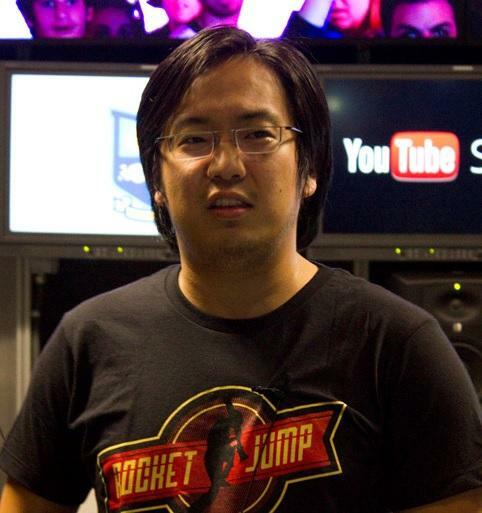 For years Wong has been one of the most prolific YouTube original content creators, releasing hundreds of videos on his own channel, many of which specifically relate to video games. He created a following for himself in the millions, and so when he and Arnold had an idea to try something a bit bigger they reached out to those fans for help. Wong and Arnold went to Kickstarter (along with series co-creators Will Campos and Brian Firenzi) and asked for $75,000 to help create an original web series called Video Game High School. Fans responded eagerly, and the project ended up raising $273,725. They used that money to create a 9-episode original show, with each episode ranging from 15 to 30 minutes. The story was set in a world where eSports have grown into a national passtime. When a young gamer named BrianD unwittingly defeats “The Law,” the best and most popular gamer around, BrianD is accepted into Video Game High School. Each episode aired on the website “Rocket Jump,” then a week later appeared on YouTube. The show resonated with fans, and it went on to average around 4 million views per episode on YouTube alone. “We’re trying to turn around what web series can be,” Wong told us. “I see web video as the next thing. I see web as television when cinema was around, as cinema when theater was around. It’s the new form of entertainment, and nobody’s taking it seriously.” Obviously Wong and co. aim to changed that. Following the success of season one, Wong and company returned to Kickstarter to help fund season two, seeking $6336,010 – the exact amount it cost to produce season one. They ended up raising over $808,000, and began production soon after the campaign ended. With season two debuting this week, Digital Trends trekked out to YouTube’s new production space in Playa Vista, CA where Wong has been working out of for about two months now. In this space YouTube holds workshops, seminars and other programs that users ranging from beginners to those with hundreds of thousands of followers are welcome to attend. Content creators can even apply to use the facilities—including video equipment, sound stages, and green screens—for free. Wong, however, is doing a full-on residency, saving money on location costs and funneling it right back into production. Wong and his production channel Rocket Jump have been there for eight weeks shooting and editing the second season of the show, spilling out into the hallways and lobbies, occasionally with as many as 150 extras on hand. The entire space, or at least a significant portion of it, looked like the inside of Video Game High School itself. For fans of the show, the story will continue where the first season left off. In season 2, Jenny Matrix’s mom (played by Lost‘s Cynthia Watros) joins the cast as a coach, Ki becomes the floor RA, Jenny and Brian wind up on the varsity FPS team, and Ted discovers if he has what it takes to be a true drifter. Meanwhile, The Law is more or less neutered by cheating allegations, and there’s a new villain named Shane Pizza. If none of that makes any sense to you, the first season is – and will remain – available to view at any time. The season also introduces elements from other facets of the video game world, including a real-time strategy crowd (“Think, like, Wall Street … meets American Psycho,” said Wong), and a Skyrim-like fantasy game that the characters play in their down time. In the first episode alone Stan Lee, Cliff Bleszinski, and Chris Hardwick have cameos. Much of the “action” is shot in 48 frames per second, and scored with a full orchestra, not to mention each episode’s increased run time of 30- to 40-minutes. According to Wong, these are firsts for a web series. Everything has been expanded and improved. The first season focused on first-person shooters “out of necessity,” Arnold said, both because of its emphasis on Brian’s story and because of the episodes’ short lengths. Now that they’ve got more breathing room in each episode they want to show a wider breadth of gaming culture. That means showing more genres, tabletop games, Pokemon parodies, and even a game created by Ki, who in the show is a game developer herself. 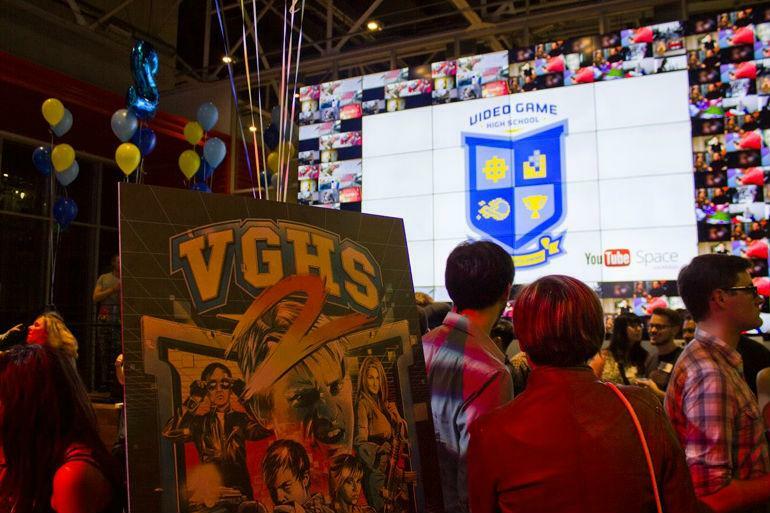 “She makes High School Video Game: The Video Game High School Video Game,” Wong said. “One of the character’s plays through it, like, in a different character’s shoes. It’s very strange,” Arnold added. The game will even be available as a real life flash game by the time the third episode comes out. “If this system can’t support this many people buying shirts and being like ‘This is the best show I’ve ever seen,’ then something’s wrong with this system,” he said of Arrested Development‘s return on Netflix in May. “People follow good content,” Arnold said, and it doesn’t matter whether that content is on Netflix, AMC, YouTube, or HBO. He even compared the user experience of watching Video Game High School to HBO Go users watching Game of Thrones; queue up the video, press full screen, and it’s the same. Season 2 of Video Game High School premiered on YouTube July 25. Check it out below.